The low-profile XTM Rail Panels are a two-piece design that attach anywhere on a 1913 Picatinny rail without having to remove previously-mounted accessories. The combination of design and material used in the XTM Panels ensures they will remain securely in place under all operating conditions, but may be easily removed using the tips of two rounds when necessary. 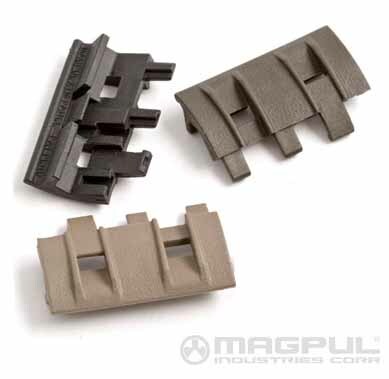 Each set comes with (4) two-piece panels which will cover ONE side of a carbine rail.